The social protests are the integral part of current political life. The latter exists both in the developed countries with so called democratic systems and in the nations in transit. In this work by saying “democracy” or “democratic” we are based on the indicators of Freedom House. Generally the social movements can be considered as the expressions of the freedom of speech and assembly. Some scholars adhere to believe that the social movements are the component of civil society. The latter is considered to be one of the most decisive parts of democratic state. From this perspective the social protests may have some democratic implications to the extent that it relates to the expressions of the freedoms. However, from the other side they arise as a result of social dissatisfaction towards some state or non state decisions or attitudes. That is why we advance the following argument: the social movements are the illustrations of lack of democracy from one side and expressions of democratic freedoms from another side. So, they cannot be judged as pure demonstrations of freedoms. The objective of the paper is to identify that ambiguity from the perspectives of the theories and to support the theoretical interpretations with practical cases from Armenian reality. The current paper starts with the review of some works done on the pertinent issue. Then we will give the methodological background indicating the tools used for the purposes of this work. Next the short overview of the protests will be presented. The results of the analysis will be presented in two scenarios (More Optimistic and More Pessimistic). In the end the inferences and recommendations will be raised. In academic literature there are thousands of the definitions of the social movements. They give different names to the stages of the uprisings. However, many of them have distinguished four phases. In the contemporary literature they are the following: “Emergence, Coalescence, Bureaucratization, and Decline”. Respectively, the first stage applies to the general dissatisfaction about some issues by the potential participants of the future protests. However, sometimes people may just discuss the issue with their relatives or friends and may not initiate any mobilization of people. In the opposite cases the next stage comes. During it the issue is being observed by the activists to find the ones who are responsible for the dissatisfaction. The movement becomes more collective, structured in terms of the leadership and advances demands. If the protest succeeds in this stage it turned to the formalizations. It means that the participants managed to spread the information about the base of the protests. It is the time when the movement should be less emotional and more professional. The latter means that the leaders should act in a professional way to gain the goals as they have the legitimate power in their hands. Finally, the movements enter into the stage of decline. It does not necessarily mean the failure. This concept may apply also to the repression of the movement or its success. Moreover, the protest may decline if its leader is dependent on the central authorities. Another approach to the stages of the social protests proclaims that the movement is not a spontaneous process. According to Bill Moyer the successful one should have eight stages. Each one consists of “the roles of the movement, power holders, and the public, and movement goals appropriate to that stage”. The stage one is called “Normal times”. This phase is described by the general unawareness of the society about the existing concern. That is why, they continue to support the ones who are in power. As the author mentions only 10-15 percent of the entire population is informed about the issue. Next the second stage comes: “Efforts to Change the Problem Demonstrate the Failure of Official Remedies”. It refers to the situation when the small group of the society who is aware of the issue begins to inform the rest of the population about the concern. They indicate that the existing system or the parts of the system do not handle the problem. The percentage of the awareness increases by 5 to 10 percent. The third stage, known as “Ripening Conditions”, leads to the expansion of the concerns. The number of the activists grows. Different representatives of the civil society provide their support to the upcoming protest. The latter, usually, is probed by some crucial events like “the killing of Matthew Sheppard in 2000;” (the fourth stage). Different people join the movement in different stages. Those who do it, starting from the fourth stage, expect the success of the protest. If they do not see it, they may leave the movement. A negative attitude towards the movement will emerge in the society. This will trigger the failure of the social mobilization. So, the goal of the fifth stage (“Movement Identity Crisis — A Sense of Failure and Powerlessness”) is to do every possible thing to prevent such failure.In case of success the movement will continue spreading by entering into the sixth stage (“Winning Majority Public Opinion”). The purpose of the stage is to keep the issue on the agenda as a priority, and include more people into the protests. The seventh stage focuses on the design of the alternatives of the current policies. Also, the protest tries to speak up about other concerns which become obvious during the first six stages. This phase is called “Accomplishing Alternatives”. Eventually, as to Mayor during the final stage of the successful social movement the struggle should not be canceled. The opponents should fight for more democratic changes. As to the power holders, they, probably, will accept the victory of the movement. On that base, the shift will be made in their policies. Different authors approach to the issue of the relations between the civil society and social protests in various ways. Mostly there is a widespread statement that the social movements can be considered as a part of civil society, therefore having an impact on the level of democracy of this or that country. For instance Sebastian Haunss and Darcy K. Leach who investigated the infrastructures of the opposition in civil society mention that “we believe that the relationship between scene and movement may also be an important intervening variable, mediating the movement’s response to the political opportunity structure, and, as a distinct non-organizational sector of civil society, mediating the movement’s impact on the quality of democracy”.So, through this statement they make a linkage between the protests, civil society and democracy indicating that the protests may influence on the level of democracy of the country. Another work by Rogerio Medeiros analyzes the social movements and civil society from the theoretical perspectives. As it is cited in that work the civil society is the “terrain and target” of social movements. The “terrain” indicates that the protests are the part of the civil society. By “Target” we can consider that the social movements tend to have an impact on the civil society or through the civil society on the state. Some scholars even believe that it is not right to categorize all the movements as the parts of civil society as there are different cases when the protests have bloody results (like religious ones). As to them the content and ways of protesting should be considered. The bloody movements, for instance, cannot be considered as the part of the civil society. and anti-democratic, such as certain religious movements”. Generally the civil society implements economic, stabilizing and democratic functions. From one hand it boosts the economic growth. From another one, however, it may raise rent seeking. The stabilizing functions are conditioned by the fact that through the subscription to different groups the civil society develops strong networking. Nevertheless, some scholars adhere to believe that only the developed democracy may boost that stabilization. The last function primarily refers to the transitional countries which are on their ways to democratization. Our analysis will not refer to the democracy but a state which is in the process of democratization. According to Freedom House Armenia is a partially free country (Nations in Transit, 2012). It may be assumed that in Armenia the social movements and civil society are very interlinked. Based on the recent environmental and other social protests they are currently common tools and means of transmitting information from the society to the state. However, there is lack of literature about the content and history of Armenian civil society. In this work we mainly use a qualitative research design. Firstly and for mostly in order to give the general overview of the social protests in Armenia from 2004 to 2012 we looked through the daily news provided by A1+ from 2004 to 2012.Then the news which referred to the social protests were extracted and analyzed . This media center was selected as it has archives from 2004 to 2012. This interval was chosen because of the availability of data on the movements. For having a quantitative data we counted the number of the protests held in that period to see whether there was an increasing or a decreasing trend. The trend is illustrated through the colors to get the preliminary image[i]. Then we used the secondary data from the Freedom House to compare the number of the protests and the level of freedom in Armenia. In order to analyze the ambiguity of the essence of the social movements in the theoretical frames we try to depart from some theories (Gramsci and Easton). The positive and negative angles of the movements are presented through the scenarios. The theoretical explanations, descriptions and predictions are used to illustrate some protests of Armenians reality. To support the explanations of the practical cases we analyzed some articles from UNHCR. Moreover, the interviews were held with 10 activists of 5 movements. The criteria for the selection of the participants were the volume and length of the protests they were representing. The overall review of the protests in Armenia for the period of 2004-2012 indicates the specificities of the contents of social uprisings. Though there are different ways of expressing protests this work focuses only on the ones which have been exercising through the demonstrations. The data gathering process identified that there were years when the variety of the triggers and reasons of the protests were high. However, starting from 2008 the mass demonstrations began to rise not only because the causes of the protests were increasing but also due to the frequency of the mass meetings. In this framework, the role of the pre-electoral activeness may not be ignored as the latter is one the main determinants of the protests in Armenia. So, the small description of the social climate for each year starting from 2004 may be useful for getting the picture of the reasons behind the uprisings. The streams of protests of 2004 were probed due to some political reasons as it was a post electoral period. The new born oppositional parties organized different meetings and rallies which were covering also the Armenian districts. However, the protests were particularly concentrated in the capital of the country. One of the rationales behind it is the fact that the top protesting people of that year were also the population who lost their houses because of the construction of the Northern Avenue. As they stated they were struggling for a proper compensation. Their struggle is an ongoing one. Moreover, there was another group of people who started their movement for the preservation of Dalma Gardens. Most of those protests were also continuing during the coming years. The basic lines of the protests since 2005 were not so much different from the previous years. In line with the claims on Dalma Gardens, Northern Avenue and the political motives, the new issue was raised. The latter pertained to the usage of social identification cards. Some pensioners were claiming that they would meet difficulties while getting their pensions. The target group also consisted of some religious people who refused to use those cards as they were against their views. Comparing with the previous two years the year of 2006 did not give a rise to a new longitudinal mass meetings like for example the movement of Dalma Gardens or people who were fighting for the areas which were going to be used for the state interests. The main streams mentioned above were in progress also in 2006 along with some small-volume ones. The environmental movements became slightly visible in 2007. Their activeness increased during further consecutive years. The previous landowners of the area of Northern Avenue were still gathering in front of Presidential office or the Government to reach their goal during that year. Nevertheless, the top parts of the protests were organized by the political opposition which held meetings headed by the first president of Armenia. 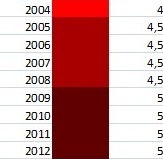 Being a pre-election year 2007 registered a high number of protests comparing with the previous ones. The trend of the volume and frequency of the demonstrations in Armenia during the given years was an increasing one. 2008 was a turbulent year in that sense. After the presidential election the oppositional rallies were culminated in the violence on March 1. Several people died. March 1 triggered different types of protests. The latter were being organized by the young oppositionists, usually in the form of pickets. The parents and relatives of people dead on March 1 became another group of protesting people. Eventually, the wives and children of people who were jailed in post-electoral period because of some political reasons were gathering once a week in front of the courts. This year was also a crucial one for the green activists. One of their initiatives was the protection of Teghut which was demonstrated in different mass meetings. Finally, the taxi drivers were actively protesting against the usage of the yellow number plates. Indeed, these were the most active groups but not the only ones. Almost all these meetings were continuing during 2009 -2012 with greater frequency. In 2010 a new wave of mass demonstrations emerged related to the educational issues. Particularly, they refer to the opening of the schools where the subjects were going to be taught in foreign languages. As to the environmentalists they made the scope and frequency of the protests greater. Another stream of protests consisted of people who were engaged in open air trade. The reason of their protest was the decree that did not allow them to continue their trade in those places .Their protests were mainly implemented in 2011.As to the year of 2012 it was a peak of environmental movements in Armenia with the success stories in Trchkan and the garden on Mashtoc Street . Below is the picture indicating the trend of the number of the social protests from 2004 to 2012.The darker the color is the more the social protests are. As it may be witnessed starting from 2008 the number of the protests was drastically raising. It may be interesting to compare these data with the ones from Freedom House. [ii] The latter indicates the level of the political freedoms and civil liberties of state. The statistics are summarized in Picture 2. So, it may be concluded that a higher number of the social protests coincides with the increase of the index of the freedom for Armenia (The closer to 7 the worse the situation of freedom is). In this case the higher number of the social protests does not guarantee a freer state. Generally, we consider that the social protests may be approached in two ways to find out its place in the state-society relations. Firstly, they may be seen as a part of civil society, therefore indicating their influence on the level of democracy. Nevertheless, from the other side, the protests may be treated as the signals of the dissatisfaction of the people. In this framework, they are the consequences of the existing gap between the political system and its inputs from the society. Unlike the former interpretation of the social protests, the latter underlines the inability or ineffectiveness of the implementation of the function of the civil society or its absence. We will try to elaborate on each approach. In this scenario we will firstly apply to the Antonio Gramsci’s interpretation of the concept of ‘civil society’ which gets a high resonance in the social science and explained below. However, we do not delve deeper in the economic component of his interpretation. The approach is used to that extent which is closer to the objective of the work. Though this term was initially used by different authors like Hegel, Weber, Gramsci gave a new interpretation of it. The author presents the state as a power which implements a coercive control over the society through law making and enforcement (Bulligieg, 1995). Nevertheless, the exercise of that control should not violate the freedoms of the private sphere (society). In case of such violations, the private sphere should be ready to respond. One of the components of so called “private” area is the civil society.So, the private arena is the place where those freedoms find their expression through the creation of consent. This means that the state is a carrier of the political power (coercion), while the power of consent-making belongs to the civil society. Therefore, the one whose power is prevailing should have the dominance over the other. Nonetheless, having in mind that Gramsci presents the state as a potential threat to the freedoms of people; we may assume that the possibility of transition is higher when the power of consent has dominance. In this context, the social protests may be seen as a part of the civil society. Firstly, through social movements people exercise their civil liberties, particularly, freedom of expression, freedom of assembly. Secondly, the mass demonstrations are the result of the consensus amongst its members on a single issue. The latter also fits into the Gramcia’s requirements of the private sector. Overall, the social protests satisfy these two prerequisites to be considered as a part of the civil society. Now we will try to use this approach to analyze the Armenian reality of the social protests from 2004 to 2012. The growth in the number of the protests may indicate that the power of consent of the private sector is increasing. However, the latter is considered to be the result of the intervention of the state or the political system, in Gramscian terms, into the private freedoms. Moreover, they turn to be more intensive during the electoral period as it gives a birth to some leaders which may get the consensus or consent of the population more easily. Then, during that period people become more aware of the social-political situation of the country which makes them more vulnerable than they usually are. Many protests may be explained in the frames of the state intervention into the freedoms of the society. So, here we will make an attempt to identify the motives of the top types of the mass demonstrations in Armenia in a given period departing from the fundamental freedoms stated in the Universal Declaration of Human Rights (UNDHR, 1948). According to our data during the same year the students of the Armenian universities gathered to express their opposition against the amendments to the Law on the Compulsory Military Service. Those amendments aimed to reduce the priorities possessed by the PHD students and others who had an academic degree. This case may be interpreted as the interference of political system to the freedom of the private sector to get an education. The latter is also stated in the Declaration of the Human Rights which indicates that “Everyone has the right to education…… Education shall be directed to the full development of the human personality and to the strengthening of respect for human rights and fundamental freedoms” (UNDHR, Article, 26). The same Article also may be applied to elaborate on the demonstrations of the parents in 2010 against the schools where the classes would be taught in the foreign languages. More specifically the Article claims that the “Parents have a prior right to choose the kind of education that shall be given to their children” (Ibid, Article 26). These are some examples to show that the Gramscian model may be applicable to the Armenian reality of the social protests. Moreover, the cases emphasize that those social movements may be assumed as the part of the new growing Armenian civil society (in a sense that movements by itself satisfy Gramsci’s model of the civil society). To sum up, from the perspectives of the Gramscian concept of civil society the power of the political system in Armenia is much higher than the one that the components of the private sector (protests) possesses. It may be considered, that it was also the reason why, even the most radical protests held in the given period were not turned to the revolutions. In this part of the work the social protests are going to be treated as the detrimental phenomena. For that purpose we will depart from David Easton’s interpretations of the system theory in the political science. As it was cited in Sara Joseph’s book, the author claims that “In general, system analysis… takes it departure from the notion of political life as boundary maintaining set of interactions embedded in and surrounded by social systems to the influence of which it is constantly exposed. As such, it is helpful to interpret political phenomena as constituting as an open system, one that must cope with the problems generated by its exposure to influences from these environmental systems’ . Easton excluded somehow the notion of power of the political system, replacing it with the term authority. To sum, the system is an open structure which gets the influence from the environment where it is situated and responds to those signals by making decisions. The latter is called the outputs whereas the signals stay as the inputs. Moreover, the outputs influence on the input creation by the channels of the feedback. One of the characteristics of this model is that it is about the continuity of the existence of political systems rather than the quality. We consider that this theory may be applicable to the understandings of the Armenian case of the social movements in the pessimistic scenario which is viewing them as the results of the weak practice of the political system. In Easton’s terms the political system is a black box which aggregates the demands and the supports held by the society and coverts them into the decisions. In this sense, the mass demonstrations may be the source of those inputs. We will try to illustrate it in some major examples of Armenian social protests: (1) Demonstrations of people who have been living in the areas (particularly Northern Avenue) which are used in the area of the state interests, (2) The case of Teghut, and finally the oppositional ones which cover the period from 2008 to 2012 (3). ( 1) As the main documents proclaiming the aim of the building of the Northern Avenue are confidential, we will try to interpret this case having in mind the initial goal of the avenue stated in the interviews with the key informants. So, hypothetically we may suppose that the goal is based on the demands. Departing from that point the input of these relations will be the demand of creating road which would connect the Government with the Opera House. Based on that demand the Government authorized the decision. The decision was the output of this program. As soon as the decision was made, the social demonstrations by the landowners of that area began. The latter may be considered as the feedback of the government’s decree. It gave a rise to a new demand advanced by the previous landowners. It was about higher compensation for their previous houses. So, the demand of the second cycle was a pure embodiment of the dissatisfaction towards the system. The fact is that according to the data, one may witness that the protests of those people were an inseparable part of the statistics for each year from 2004 to 2012.The continuity of the dissatisfaction may mean either the existence of the gap in the instruments and ways of the communications between the society and the states or the authoritative nature of the government. (2) The case of Teghut is full of dilemmas. According to the interviews with the stakeholders of this issue and the document analysis their claims were the following: From the one side the Greens claim that the exploitation of the mines will have an adversarial effect on the environment. From the other side, there is a need of new jobs in that district. In the realm of this model we may divide them between its structural parts. It may be considered that, based on the demands of new job places, revenues to the budget, the Armenian Government granted a License to the pertinent company to develop the mining industry and to guarantee some benefits. So, the demand was a low unemployment in that area and the need of revenues. The decision made by the political system was the exploitation of Teghut. The latter in this case is an output. However, the Easton’s model does not ignore the feedback of the process. In this very case the uprisings of the Greens may fit into this context. So, the feedback of governmental decision did not satisfy some group of people. That dissatisfaction may be assumed a decisive source of the mass gathering. Moreover, it creates a new demand to preserve the ecosystem of Teghut. (3) Eventually, the oppositional protests may also be conditionally presented by the Easton’s model. In this case the model will be a little bit modified in order to present the elections as a part of this structure. In the initial model, however, it was not encountered. So, if the first two cases were the instances of expressing the signals to the political system through the demands, we will try to observe this case (at least the first cycle before the feedback) as a support driven decision making procedure. So, through the elections of 2008 the population demonstrates their support to some candidates by casting ballots and voting. Then the results were announced and ratified which in this case may be treated as the output of the process. The population who did not agree, therefore they were not satisfied with the final decision, initiated a new wave of ongoing protests. In this case, the new demand was formulated in a more radical form. The demand of the demonstrators addressed to a newly elected President, was claiming to leave his post. Another option (demand) was to conduct a new election. Like in the first case, these protests also have a high frequency which proclaims the same problems of weak state-society relation in those periods. Based on the above mentioned model and the three cases of the mass demonstrations we may draw some implications. Firstly, as the descriptions of the cases state, the mass demonstrations are kind of the feedbacks of the governmental decisions which designate the new inputs for the system. As to the initial inputs, one of the shortcomings of the Armenian case may be deduced. The latter refers to the fact, that in all three cases, the demands (inputs) were advanced by the government rather than the society. This notion puts the society in some distance towards the system by creating those gaps in communication which was obvious mainly in the first and the second cases. This shortcoming may be a character of some authoritative essence of the government as the latter ignores the real societal signals. Secondly, in contrast to the optimistic scenario, the growing volume and frequency of the mass demonstrations in the premises of this model are the determinants of the ineffective state-society relations. Thirdly, there is another thing that was not mentioned in the examples but it is worthy to state. The Republic of Armenia is not an isolated country in terms of its memberships to different international organizations. There are several cases, where the inputs to the political system may come from those bodies. In many instances (for example Teghut), the demonstrators themselves apply to those institutions. So, the existence of comparatively better state-society communication may partially be explained by the role of those bodies. To sum up the advanced two scenarios, several things may be mentioned. In both cases we approached the Armenian social movements deductively, trying to apply the theories to the social protests. Furthermore, the theories are a little bit modified or in other words they are interpreted for the given cases. In the first case it was witnessed that even if the social movements may not sometimes be viewed as the actors of the civil society, they can be a step forward to it. The latter is validated by the creation of new institutionalized groups which were the byproduct of the social protests. However, the pessimistic scenario connects the increasing number of the protests with more authoritative nature of the Armenian political system. So, the protests indicate the lack of the effectiveness in decision making procedure. Taking into account the Armenian picture of the protests, we will try to create some conclusions. So from one side the protests are a good way to disseminate the information among the people about their human rights. It may be witnessed in the trend that with the rising number of the protests the intensity also increases. Hence more and more people became aware of their rights and fight to protect them. However, from the other side, there are many protests from 2004 to 2012 which had a long history. Even some of them are ongoing. Even if the protests are the part of civil society (the latter by itself is an indicator of democracy), it may be assumed that the increasing or decreasing trend of them are not decisive or at least enough to measure the level of democracy of the country. Even theoretically it may be approach in two different ways. However, the work has many limitations. Firstly it refers to the time span of writing it. Secondly it has just a descriptive essence. It lacks also detailed quantitative data on the number and intensity of the social protests in Armenia. For further studies in this area it will be useful to approach both deductively and inductively. The observation as a method will also have a great added value for having the detailed information on the protests. More data on the movements will help to do an exploratory and explanatory research. The above mentioned approaches are going to be used in the work “Social Protests in Armenia: peculiarities and Causes”. Christiansen, J. (2009). Four Stages of Social Movements.Social Movements & Collective Behavior . EBSCO,Research Starters, Academic Topic Overview , 1-7. Esteves, A. ,S. M. (2009). Issue one editorial: “Civil society” versus social movements. A Journal for and about social movements , 1 (2): 1 – 21, 1-21. Leach, D. K., & Haunss, S. (2009). Scenes and social movements (pp. 255-76). Bibliothek der Universität Konstanz. Medeiros, R (2002) Social Movements and Civil Society: Towards a deeper theoretical dialogue between two fields of study. Christiansen, J. Four Stages of Social Movements.Social Movements & Collective Behavior . EBSCO,Research Starters, Academic Topic Overview ,2009 1-7.